Not only have climate scientists agreed that humans are contributing to climate change, but recent evidence also points out that the rate of warming is happening much faster now than it ever has before. This is why, at the UN Climate Conference in Paris this month, world leaders sought to reach a new international agreement on climate change, essentially to keep global warming below 2°C (or 3.6°F). Rising temperatures pose threats on food and water security, infrastructure, ecosystems and health and, as a previous blog on this site shows, increases the risk of conflict. With an upsurge in the frequency and intensity of extreme weather events and the potential for rapid sea level rise, both mitigating human-related exacerbation of climate change, and adapting to its devastating effects are key priorities. This is where education comes in. 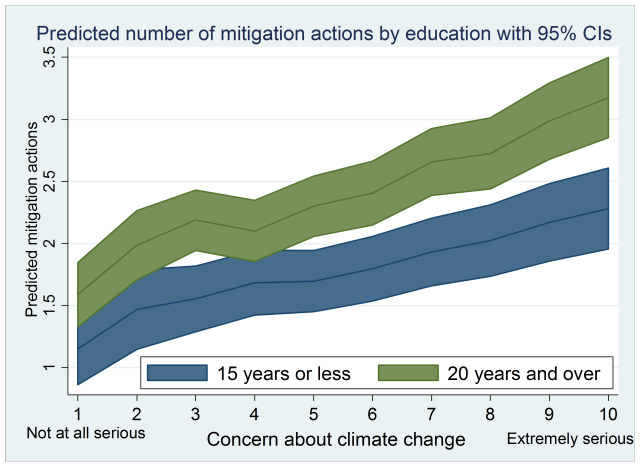 Both mitigation and adaptation require technological, institutional and behavioral responses. Correspondingly, the Intergovernmental Panel on Climate Change highlighted the value of a mix of strategies to protect the planet, which combine policies with incentive-based approaches encompassing all actors from the individual citizen, to national governments and international communities. Because, while national and sub-national climate action plans are fundamental, changing individual behaviour also lies at the heart of responses to climate change. At the individual level, barriers to the adoption of mitigation and adaptation measures include a lack of awareness and understanding of climate change risk, doubt about efficacy of one’s action, lack of knowledge on how to change behavior and lack of financial resources to implement changes. Accordingly, there are many sound reasons to assume that different education strategies can help overcome these barriers both in direct and indirect manners. Responding to the challenges of climate change is going to require action on multiple fronts. 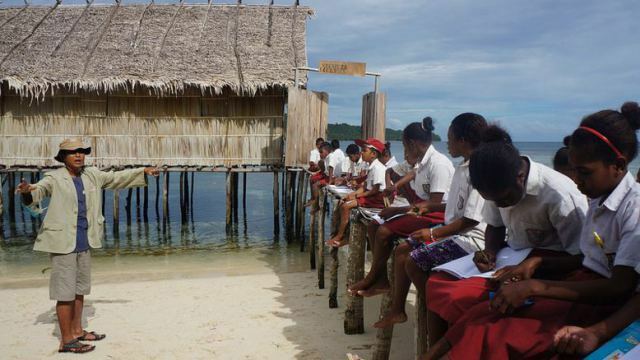 Ignoring the impacts of education on climate change is no longer an option. Promoting universal secondary education should be given a high priority on the agenda as we look forward past last week’s Paris meeting.